Storage in Doncaster, Selby, York & Goole areas. Dominic & Son Removals offer excellent secure storage units. 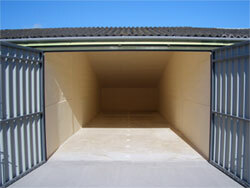 Each individual unit holds up to 2,400 cuft enabling all your goods to be stored together. We also offer containerised storage, each container holds 250 cuft of goods and is ideal for smaller storage requirements. Our secure modern storage facilities are fully alarmed and have recording closed circuit television for your peace of mind. Whether you wish to store one box or an entire house contents for one day or ten years we can accommodate your storage needs. Prices from £16.00 per week including VAT.